The Lower Kuskokwim School District received a $1-point-5 million dollar grant from the US Dept. of Education to enhance language proficiency for Alaska Native students in both English and Yup'ik. 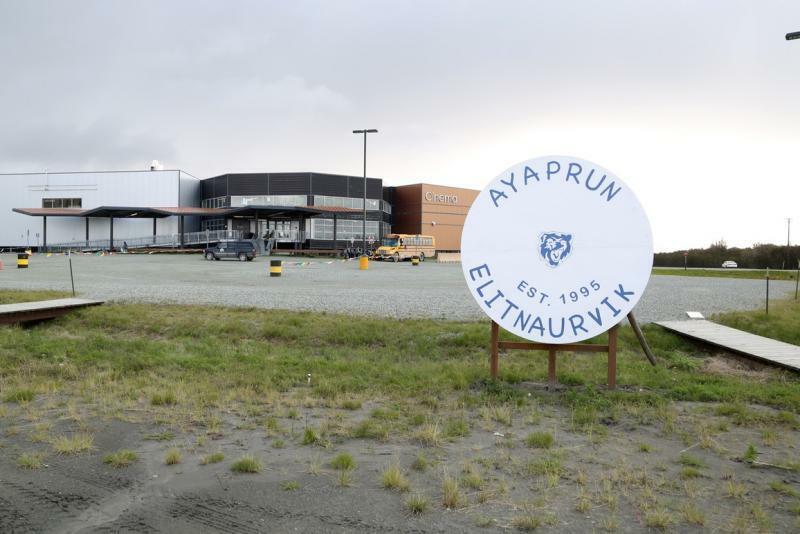 The Lower Kuskokwim School District received $1.5 million in funding to benefit any school with a Yup'ik or Cup'ik language program, including Ayaprun Elitnaurvik in Bethel, Alaska. recently awarded over $15 million in grants to ten school districts across the nation. The plan is to use the grant money to help American Indian or Alaska Native students who are learning English, and LKSD will receive some of those funds. Carlton Kuhns is an Assistant Superintendent with the District. “We were just notified that we did receive 1.5 million dollars for the next 5 years. It is a 5 year grant so approximately $300,000 per year, and the focus of that grant is to supplement our dual language program in which we have Yup'ik and Cup'ik languages taught as part of our elementary,” said Kuhns. Kuhns says they will use the grant to work with WIDA, an organization based at the University of Wisconsin that seeks to advance academic language development and achievements for culturally diverse students. Though the grant is already approved, Kuhns says there is plenty of work ahead. “We’re really excited about the work ahead of us. This will be like I said a 5 year project working with, really national level experts. The national experts are gonna work with our local language experts, so we will have elders, and Yup’ik language teachers that will be working together in the summers to develop this program so were really excited about that,” said Kuhns. The full set of national grants is anticipated to help around 8-thousand Native American and Alaska Native students achieve their education goals in English, and in their native language. Kuhns says LKSD will use the money to better test the language proficiency of their native speaking students and to provide better programs in the future. Nanwalek School Converts Garage to Classroom By Daysha Eaton, KBBI Nanwalek School is getting some relief from overcrowding after a garage/shop area was converted into a new classroom over the summer. 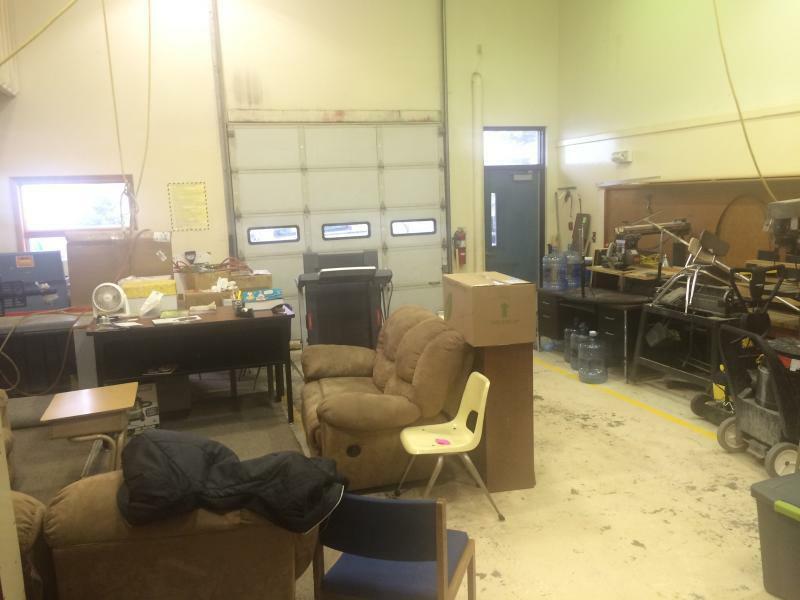 The garage/shop area that Nanwalek School converted into a classroom over the summer. Principal Nancy Kleine says the new classroom for sixth through twelfth graders has made students more comfortable and enthusiastic about learning.“The kids just seem really happy to come to school this year. It’s almost like they have a place now. We have a pretty large middle school group, 26 kids and I believe there are 17 high school kids and that room is so much more appropriate for them. So they now have two large rooms, one downstairs and on upstairs for their classes,” said Kleine. Nanwalek is an Alutiiq/Sugpiaq community near the Southern tip of the Kenai Peninsula. Kleine says the room is being used to teach middle and high school science and math. The room is airy and bright with high ceilings and large windows. It also has a new smartboard. The school was built before statehood by the Bureau of Indian affairs in 1958. There’s been no expansion since an addition in 1977. But the population of Nanwalek has continued to grow. According to census data, Nanwalek’s population has nearly doubled since the state started keeping track in 1990. Last year, the school was at 138 percent capacity. 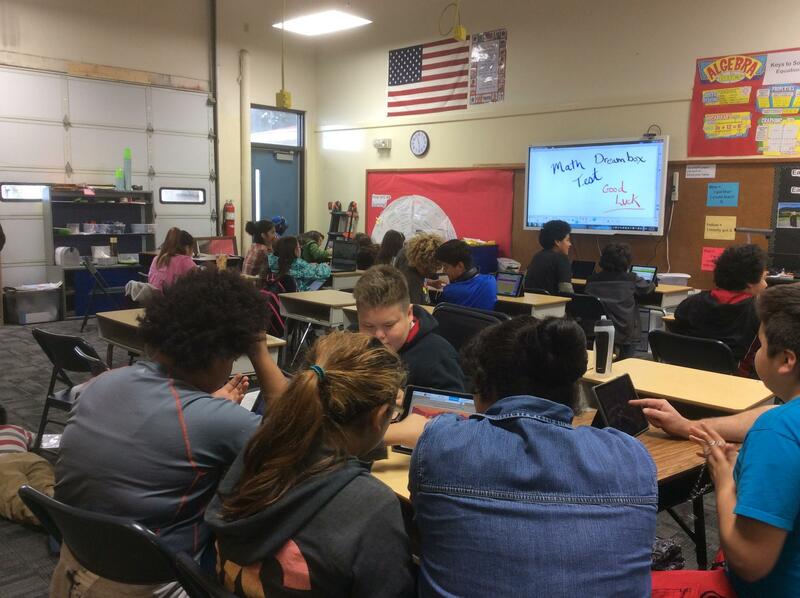 Until the Kenai Peninsula School District helped the school convert the garage/shop into a classroom, students were packed into a building that is supposed to hold 60.Kleine says enrollment is up this year and that she expects continued growth. “There is definitely a growth pattern going on. I’m not sure that in the next couple of years we are going to see an increase, but we are going to see a bump down the road,” said Kleine. Kleine says she’s happy the District has found this temporary solution. After Photo: The converted classroom at Nanwalek School on Thursday, Sept. 22. “I think this is a really good example of people pulling together all the way from the students and the staff and the District and the Borough all working together and the community, to support using what we do have. I’m actually really proud of everybody that’s been involved and very excited for the kids that they can relax this year and not be crammed in like they would have had we not opened up that space,” said Kleine.Kleine says the school has 80 students this year. At this time, the Kenai Peninsula Borough School District has no plans to expand the school.